A labor activist’s Instagram post alleging he was tortured while in the custody of Iran’s Intelligence Ministry triggered a wave of revelations about torture committed against political prisoners and prisoners of conscience and unleashed a debate among Iranians on social media. Under the Farsi hashtag of “I was tortured too,” human rights activists published numerous reports of torture of detainees during interrogations. They revealed that in addition the detainees were subjected to sexual torture, amputation, beatings with electric shocks and other forms of torture. 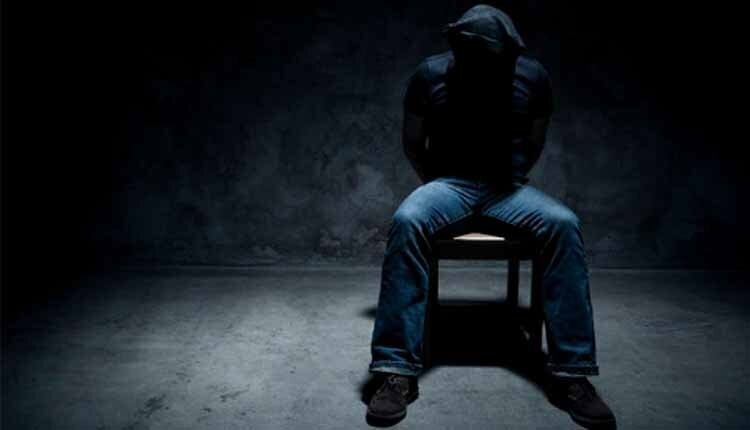 The Iranian regime as always denied the use of torture despite numerous reports that prove the regime uses torture to extract forced confessions from prisoners or to break the spirit of political prisoners. Meanwhile, the regime’s Prosecutor-General expressed regret that a number of “divine punishments” are set aside to save Iran from being condemned by international bodies. The mid-ranking cleric, Mohammad Jafar Montazeri’s comments are published at a time that the mullahs have been repeatedly criticized for implementing “hudud”. The clerical regime has never hesitated or been shy to implement corporal punishments which tantamount as torture, describing these punishments as a divine gift and adherent to Islam. All the while they don’t even comply with Islam’s written rules and apply punishments like stoning, which predate Islam. According to the Quran, criminal laws must be adapted to any era and can’t be followed verbatim from the holy book. The fact is that the mullahs aim to take advantage of the name of Islam to suppress the people and prolong the life of their dictatorship. They use Sharia Law to intimidate the Iranian people and stifle the voice of dissidents and protesters. The month of January was marked by numerous instances of human right abuses. Iran Human Rights Monitor’s Monthly Report – January 2019 reviews the executions, breach of freedom of expression and assembly, cruel and degrading punishments, mistreatment of prisoners, breach of freedom of religion and belief, discrimination against women and ethnic minorities and lack of basic rights. There were 12 executions of which five were carried out in public. Human rights activists reported that an innocent man was hanged in northwest Tehran. The mother of Mohsen Rezaie, the executed prisoner, said that her son was forced to confess to murder under torture. She said that judicial officials had told her that they had found evidence that her son was innocent. “They transferred Mohsen to solitary confinement on Monday. I approached all relevant institutions but they did not listen to me. I told them that he was supposed to be acquitted and that they had told me themselves that they had found evidence that my son was innocent. I went to the Prosecutors office and they refused to even talk to me,” Mohsen’s mother said. The clerical regime also publicly executed a 31-year-old man in January for an alleged violation of the country’s anti-gay law. A woman identified only as M.A, is among those executed. She is the 87th woman who is executed under Hassan Rouhani, the Iranian regime’s president. At least 23 flogging sentences were issued, while seven were carried out including one in public. A judicial official said that five people were flogged in northeastern Iran. The Chief Justice of North Khorasan Province said that the “offenders” were sentenced to flogging for negligence and that the flogging sentences had been carried out. The five men were administrators in the North Khorasan Medical Sciences University. A man identified as Esmail Arbabi was flogged in public for the second time in Iranshahr on charges of robbery. According to eye witnesses, the lashing was so violent that the victim passed out and was taken to the hospital unconscious. He was also sentenced to two years of prison. The authorities also continued to harass prisoners and human rights activists. In an episode that highlights Iranian authorities’ mistreatment of prisoners, Hassan Beit Abdullah, held at Masjed Soleyman Prison, southwest Iran, was tied to a pole in the prison’s courtyard for three days. The sentences have been issued over the course of several trials held over the last few months. In the latest trial at Branch 102 of the Criminal Court in Shazand, Markazi Province, the 43-year-old was also fined four million tomans (approximately $950 USD), according his lawyer Payam Derafshan. Civil rights activists, Reza Khandan and Farhad Meysami have been sentenced to six years, banned from contributing to media and using social media for two years, their attorney, Mohammad Moqimi, reported. Part of the 300-page indictment was read to defendants Houman Jowkar, Taher Ghadirian, Morad Tahbaz, Sepideh Kashani, Niloufar Bayani, Amir Hossein Khaleghi, Sam Rajabi and Abdolreza Kouhpayeh in their closed-door trial at Branch 15 of the Revolutionary Court presided by Judge Abolqasem Salavati. According to the judiciary’s news site, the defendants’ court appointed lawyers were present at their first trial session. But attorney Mohammad Hossein Aghasi told the state-run IRNA news agency that he had not been invited to the trial. Political prisoner Sohail Arabi, held in the Greater Tehran Prison, is currently in critical condition, suffering from intense bleeding due to a broken nose. Regime officials are refusing to allow this political prisoner to seek medical treatment despite this life threatening status and continuous pains from his broken nose. For months, Arabi has been deprived from any medical care or surgery, literally placing him under torture for several months now. Iranian authorities continue to refuse to hospitalize political prisoner Saeed Shirzad outside of Raja’i Shahr prison where he has been held for the past three years. Shirzad’s requests for hospitalization were being denied by the prosecutor’s office in the city of Karaj, where the prison is located. Iranian authorities have deliberately deprived political prisoner Majid Asadi of the special medical care he requires. Majid Asadi, having been sentenced to six years in prison in 2017 for his peaceful human rights activities, suffers from multiple diseases including ulcers, duodenal ulcer, liver cyst, waist disk, and spinal rheumatism. However, authorities at Raja’i Shahr prison, have repeatedly impeded his access to medical care. The Supreme Court and Revolutionary Court of Mahabad reject Mohammad Nazari’s request for a new trial. Iran’s longest serving political prisoners, Mohammad Nazari, has been imprisoned since 1994. Eligible for release, he is serving a life sentence in Rajaee Shahr Prison, known for its inhumane conditions, for his alleged membership in an outlawed Kurdish separatist organization. Since his arrest on May 30, 1994, by agents of Iran’s Intelligence Ministry in the city of Boukan, West Azerbaijan Province, Nazari has not been granted furlough. The temporary leave, which is typically granted to non-political prisoners in Iran for a variety of familial, holiday, and medical reasons, is routinely denied to political prisoners as a form of additional punishment. Payam Derafshan, an attorney to jailed human rights lawyer Nasrin Sotoudeh, announced on January 14, 2019, that Mrs. Sotoudeh has been banned from visits at the women’s ward of Evin Prison. Political prisoner Bahauddin Ghassemzadeh was taken to solitary confinement after he protested the authorities insulting his family in the visitation hall of the Urmia Central Prison. Reports indicate that Mr. Ghassemzadeh has started a hunger strike ever since. At least eight members of the country’s most persecuted religious minorities, were arrested in January. Furthermore, four students belonging the Baha’i community were denied education. Two Baha’i women, Kimia Mostafavi and Kiana Rezvani from Kerman, were arrested on Saturday, January 19, 2019, by security forces. One of these Baha’i women, Kiana Rezvani had been previously deprived of education due to her faith. After participating in the National University Entrance Exam, her file was flagged as ‘deficiency on file’ on the National Organization for Educational Testing website. This flag is used for Baha’i students who are deprived of continuing their studies. Shirin Bani Nejad, a full-time fifth-semester undergraduate student in computer science at Sama Andisheh Azad University, was barred from continuing her studies because she is a Baha’i, and has been prevented from continuing her education. Moreover, Sama Nazifi, a student of architecture at Azad University’s Shahriar Branch, was dismissed from school on Monday, January 7, 2019, due to her Baha’i beliefs. This undergraduate student of architecture received an honorary student title last year. But this year, she cannot continue her studies because of being a Baha’i. Sufi woman Elham Ahmadi was sentenced to 148 lashes by Mohammadi, the Head of Qarchak prison in Varamin. Elham Ahmadi published an audio file that revealed the catastrophic situation of Qarchak prison and the lack of medical treatment of women in prison. She was charged with ‘publishing lies’ and ‘insulting prison officers’ by the judge of Branch 1145 of the court. For each of these two accusations, she was sentenced to 74 lashes, a total of 148 lashes. The arbitrary arrests of Arabs in southwestern Khuzestan province continued with 10 more apprehended. The authorities have not since given their families any information about their whereabouts and legal status. The state security forces opened fire on a vehicle on suspension of smuggling fuel, killing a Baluch man and leaving two others wounded. As Iran’s national currency has dropped rapidly in value, the smuggling of fuel has soared due to increasing price differentials inside and outside the country. Most ethnic Baluchis live in poverty-stricken Sistan-Baluchistan province, where dozens of impoverished people make a living smuggling diesel fuel. At least 12 Baluchis were arrested in Zahedan, the capital of Sistan-Baluchistan province. Baluch human rights activists reported that the state security forces opened fire on a trawler in Kargan city of Sistan and Baluchestan Province, killing a young man identified as Eshaq-Ali Malahi. They also arrested several others who were wounded after the shooting. At least 36 Kurdish citizens were arrested. This includes 9 environmental activists, 2 lawyers and 2 civil activists and 23 Kurdish citizens who were arrested in the cities of Urumieh, Kermanshah, Kamyaran, Sanandaj and Baneh. On the borders of Kurdistan, six porters froze to death after they caught in icy blizzards. urthermore, killing of porters, as the poorest people who have to resort to this type of hard work to make ends meet for their families, continued in January. The regime’s border guards shot and killed at least three porters and injured 20 others. Abbas Lesani, Azerbaijani Turkic minority rights activist, was arrested after a court tried him in absentia and sentenced him to 10 months’ imprisonment on the charge of “spreading propaganda against the state.” Mr, lesani, held at the quarantine ward of Ardebil Prison, has been on hunger strike since his arrest on January 15.